Patented 2-in-1 Removable Wheel and Handle System. Secure, detachable patent pending Fly-Through Checkpoint-Friendly laptop sleeve design. Laptop sleeve padded with high-density foam fits most laptops 15.6" in screen size. Adjustable, non-slip, shock absorbing shoulder strap alleviates body strain. Front organizer with storage space for media devices, cell phone, business cards, key holder and pens. 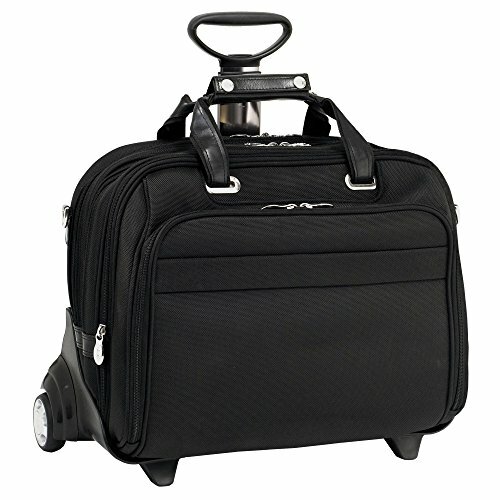 Expandable front compartment features 2 small pockets and storage space for files.